OSLO PILOT invites a series of people to speak up about the future of Oslo’s historical buildings. The second debate in a total of three will be chaired by Even Smith Wergeland, lecturer at NMBU and postdoctoral fellow at HiOA. The debate will center around Oslo’s most important historic buildings to be vacated, such as the National Gallery, the Museum of Contemporary Art, Oslo Public Library’s main branch, Munch Museum, and Museum of Applied Arts. Janne Wilberg – Cultural Heritage Manager in Oslo. Erling Dokk Holm – Associate professor and dean at Kristiania University College. 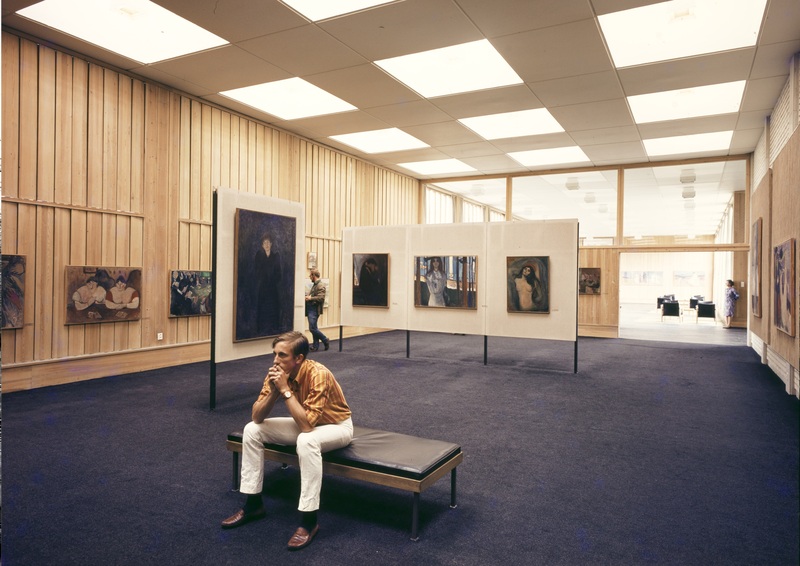 Erik Langdalen – Professor at AHO and architect MNAL. The debate takes its point of departure from Speculative Realism, a relatively new direction within European continental philosophy. The term was coined at a philosophy seminar held in London in 2007, which sparked a movement that revolves around the American philosopher Graham Harman’s object-oriented approach to contemporary reality. A core idea in Harman’s theory is that physical objects (things) exist independently from human emotions, thoughts, and viewpoints. This conception of reality is in direct conflict with established discourses on urban geography, in which human beings tend to be the protagonists. If a city does not perform well on behalf of its citizens, the argument might indicate that it is not a good city to live in. Speculative Realism challenges this position by emphasizing the intrinsic value of things—beyond human intervention. This means that one can capture the meaning of a building without necessarily dealing with human perspectives, an insight that provides an opportunity to keep a strict focus on the buildings in question during these debates. The intention is to avoid the instrumental perspective often applied in cultural planning discourses—what can buildings do for society at large?—and, instead, investigate what society can do for these buildings in order to revivify them as important landmarks in Oslo. On the other hand, Speculative Realism encourages the activation of what Harman calls “imaginative audacity”—the promotion of bold dreams and visions. This represents a human perspective after all, in the sense that courageous dreams tend to be voiced by people on behalf of the reality that surrounds them. The participants in these debates will speak up about the future of different buildings in Oslo with the aim of making public the subsequent issues of their abandonment. City of Dislocation is a two-year investigation of important historical landmarks about to be vacated as newly merged institutions move into new headquarters. The project is conceived and developed by architects Johanne Borthne and Vilhelm Christensen, curator and writer Martin Braathen and architectural historian Even Smith Wergeland. OSLO PILOT is a two-year project investigating the role of art in and for the public realm. Laying the groundwork for a future periodic art event in public space, OSLO PILOT’s 2015­–2016 programme is aimed at exploring the intersecting temporalities of the artwork, the periodic art event, and the public sphere. OSLO PILOT is curated by Eva González-Sancho and Per Gunnar Eeg-Tverbakk.